Sporty, lightweight and aggressive, the FN SC-1 is your go-to shotgun in sporting clay and some long-range shootings. Continue reading to learn further about this beauty. The Fabrique Nationale (FN) has produced its first over and under shotgun. 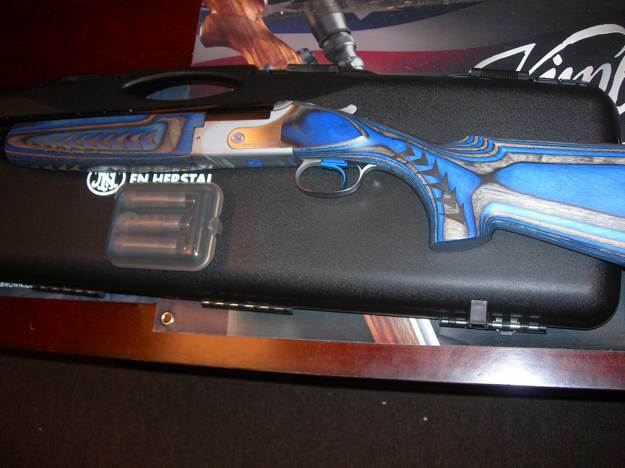 The FN SC-1 is a double-barrel shotgun primarily made for clay competition. This beauty has long barrels of 28″ and 30″, offering swing inertia. Having a perfect combination of speed and maneuverability, this lightweight shotgun is competition-ready. Flying targets are just a pull of your trigger away! Get to know more about the FN SC-1 as you scroll on. Fabrique Nationale (FN) is a company whose sole aim is to produce military rifles for the government of Belgium. It is also a manufacturer of the Browning guns since the owners were old pals. Since it serves to produce for the military, FN guns are undoubtedly of durable material. The FN SC-1 is the first O/U shotgun produced by Fabrique Nationale. There were 200 FN SC-1 units produced during the model’s first generation launch. The fancy field gun offers you a choice of black, green, or blue checkered laminated wood. It looks more stunning when you match it with its blue-tipped Invector-Plus choke tubes and trigger. Image via Target Shotguns, Inc.
For a sure grip on your shootings, the blue and gray laminated wood stock and fully adjustable comb have a premium sporting recoil pad because your safety is of utmost priority. It is made lightweight to aid in targeting flying clays. And since it is made for clay competitions it is a long-range shotgun to perfectly smash those flying clays. Sporty – the overall appearance of the SC-1 in blue matching choke tips and trigger is to be eyed. 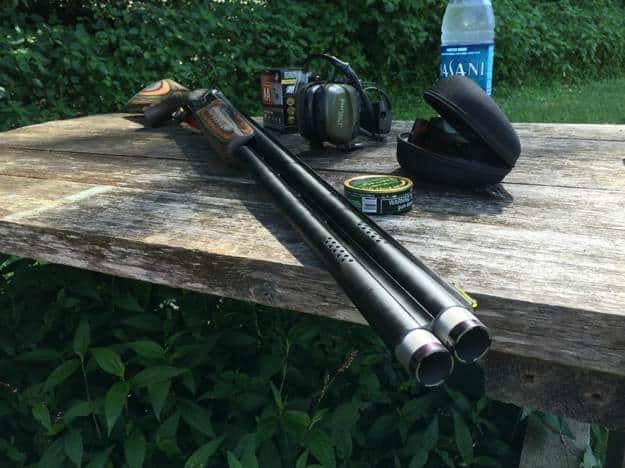 Lightweight – it aids in your soft shooting hobbies as an over and under shotgun. Color – it has colors blue, black and green for you to choose from. Or you can just leave it with the sporty blue overall color. Packaging – it is encased in a sturdy plastic container without padlock holes making it unfit for air travels, only for local travels. The price of the FN SC-1 fits perfectly with its overall quality and appearance. It ranges from $2,300-$2,600 (depending on where you’re buying). Since it is trusted by the Belgium military, you can guarantee its performance. This beauty is going to be your key to winning some clay competition. It can keep pace with your competitiveness against your opponent. I would want to try out the FN SC-1 in the field one of these days! What can you say about the FN SC-1? Are you planning to buy one for some long-range shooting? Let us know your thoughts in the comments section below! Looking for a more affordable shotgun? Get to know the Stoeger Coach in this post! Editor’s Note – This post was originally published in September 2015 and has been updated for quality and relevancy.